Jens Voigt pitted himself against amateur riders at a promotional event for the up-and-coming multiplayer turbo trainer game Zwift last night (December 10). 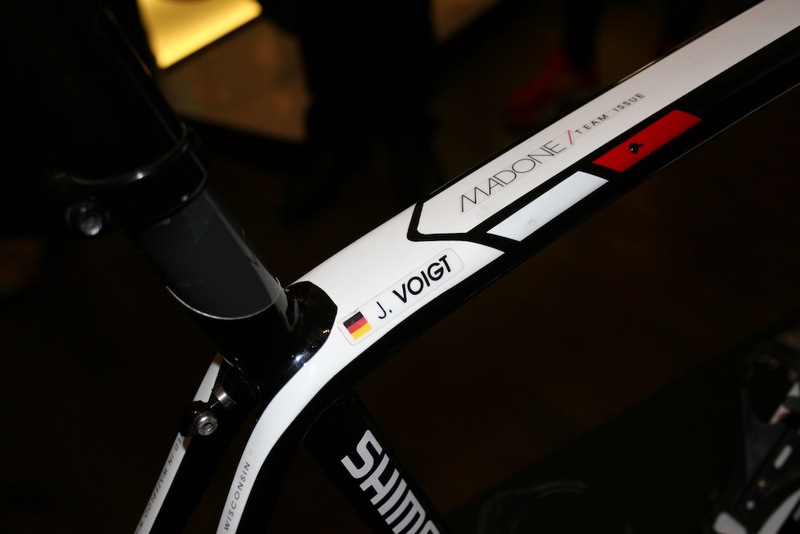 Voigt brought his own team issue Trek Factory Racing Madone along to the event, which he used to connect to the turbo trainer. Jen’s brought his personal bike along to ride on the turbo trainer based game. A chip can be seen on the top tube. The event, held at Bespoke in Farringdon, gave people the chance to experience the new game by racing each other on a single 6km lap of Zwift Island, with the course featuring climbs and intermediate sprints. Voigt was slightly nervous ahead of his Zwift showdown, claiming that “my heart is already at like 150 bpm” and that not trained on the bike for a month. He did however say that he “does some running now”. A “shut up legs” official t-shirt. When asked what was next for the 43-year-old German, he said that he plans to “keep it open for the first year” going on to say that he intends to have a go at lots of different roles within the Trek set-up. 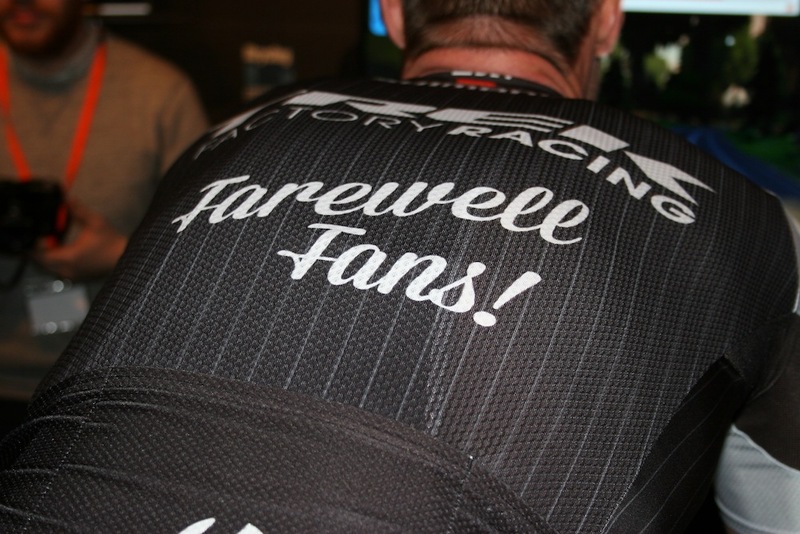 Voigt’s jersey with the caption “Farewell Fans” We doubt this is the last we see of the charismatic German. Zwift have previously announced that future plans include an ‘X Factor-like’ competition with professional contract as a prize.